Freezer 4 wings Everzen UDS-45RIR keep food always fresh, ensuring food is always good for health. Equipment is imported 100% from Korea. Freezer is one of the indispensable devices in kitchens in restaurants, bars and with small or medium scale. However,not all customers know how to select an appropriate device. 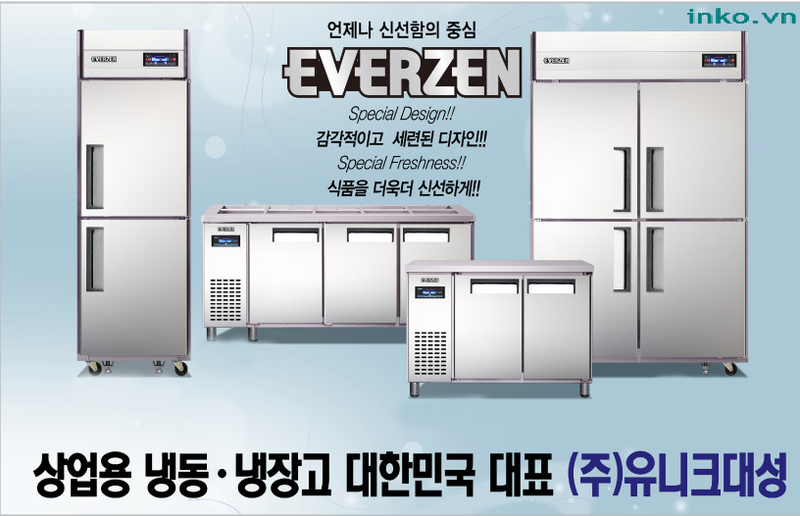 EVERZEN- is a famous brand in all kinds of freezer, cool table come from Korea. 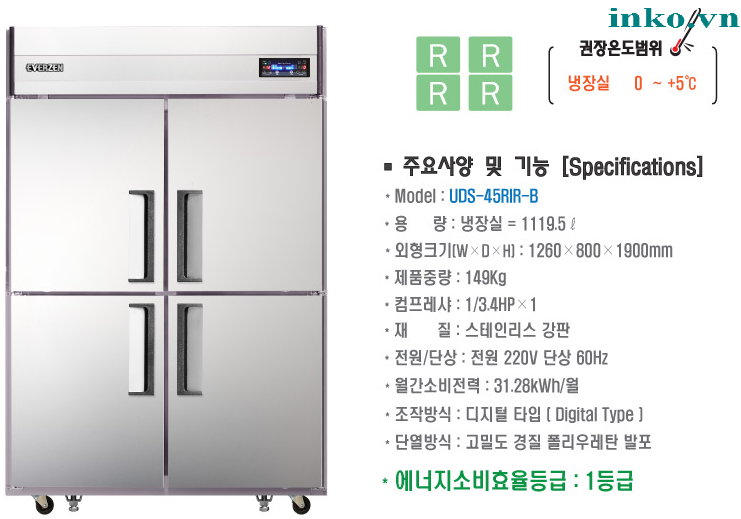 We have researched and found that freezer 4 wing Everzen USDS-45RIR could be seen as a great choice for you. -Outer shell is made of high quality stainless steel. Internal structure is made of stainless steel material stainless and based material polyurethane against scratches. - Product designed convenientlyb: angles designed curved , design of easily holding opening arm for ease of using, high durability. - Friendly environment thanks to the capillary system closed-CFS R134a ,there is no affect to the ozone layer.